Next year marks the centenary of the sinking of the RMS Leinster, a disaster which to this day remains the single greatest loss of life in the Irish sea. 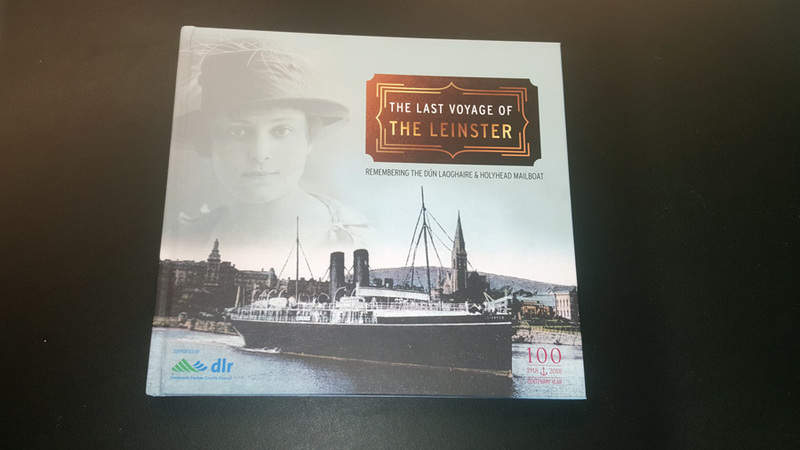 To commemorate the anniversary the Leinster centenary committee have released a new book ‘The Last Voyage of the Leinster’ which explores the more human aspects of the people who sailed on her last voyage. A series of events will also take place next year to commemorate the anniversary and give the ship and those that were lost on it the recognition they deserve. 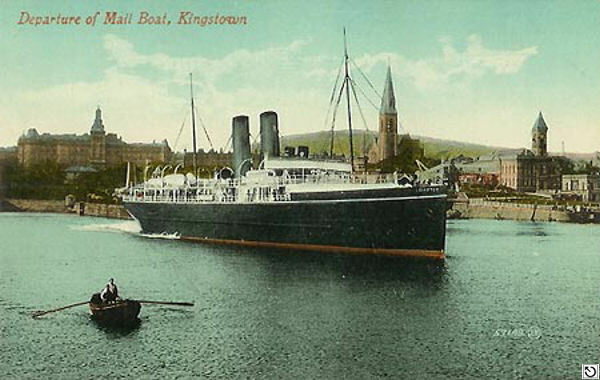 The Leinster was a Royal Mail boat that sailed the Dun Laoghaire ( Kingstown) to Holyhead route and was one of four ships named after the provinces of Ireland. On the morning of October 10th she set sail from Dun Laoghaire on what would be her final voyage carrying 77 crew and 694 passengers. Just four nautical miles east of the Kish Lighthouse, RMS Leinster was torpedoed by German submarine UB-123. The first torpedo passed in front of the bow but the second struck the ship on the port side near the mail room. The captain ordered the ship to turn around and try to head back to Kingstown but a third torpedo struck causing an explosion. The official death toll was put at 501 souls. More Irish lives were lost when the Dún Laoghaire to Holyhead Mail Boat sunk than on the Titanic or the Lusitania but for some reason the loss of this ship has been largely forgotten. For a ship so embedded in the landscape of this Dublin it’s loss would have been felt throughout the Kingstown community and that of Holyhead too. 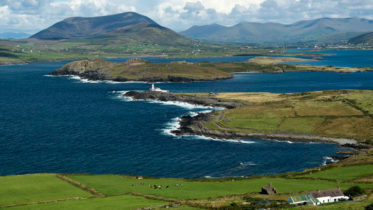 The ‘Last Voyage of the Leinster’ gives context to the time and political landscape in which the Leinster operated and how it’s loss echoed throughout the community. It can be easy to forgot the lives of the people lost these disasters with it occurring a century ago but ‘The Last Voyage of the Leinster’ lovingly tells their story. The book is made up of stories past down to relatives of victims and survivors of the Leinster and accounts from historians and journalists giving snapshots into the people who worked and travelled on the Leinster. Tales of soldiers heading off to war, postal workers, acts of heroism and the terrible loss families faced when the received the devastating news. The hardback book is beautifully presented and contains some great images of the Leinster and some truly moving accounts the people who sailed the Leinster. The book acts as a wonderful tribute to those that died on the Leinster. The book was launched last month and is available to buy now for €15 in Easons, Dubray Books (Dun Laoghaire), Hewittes newsagents in Monkstown and News and Gifts newsagents at Killiney Shopping Centre.